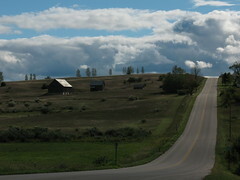 This is a picture I took at a crossroads in Leelanau County, MI called Isidore. Behind me in this photo is the Holy Rosary Catholic Church. This picture was taken in September of 2007.